Wyndham Hotels & Resorts has unveiled a new identity for the “Ramada Encore by Wyndham” brand globally, with a brand promise to be “Refreshingly Different”. This new identity includes a redesigned and “re imagined” logo, created by London-based marketing agency Octopus Group, and prototype designs for guest rooms and common spaces designed by hospitality architecture firm Harrison. The multi-coloured “E” mark was designed to reflect continual movement through the rotation of the letter, symbolising “to return” which is the definition of the word encore. In addition, the brand has received a new colour palette, as it looks to reflect vibrancy, energy and approachability. Created in the late 1990s, the Ramada Encore by Wyndham brand currently has 54 hotels in 20 countries around the world. 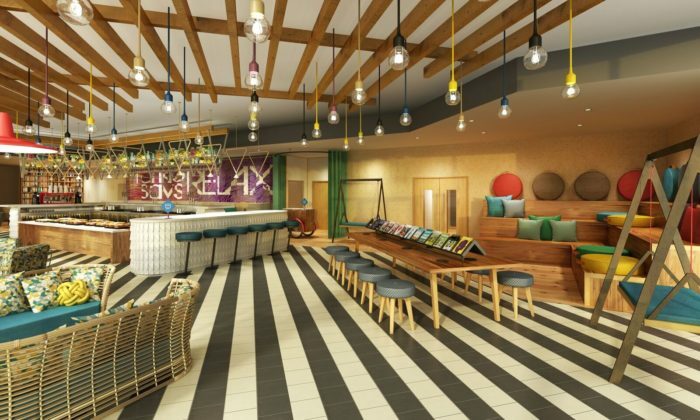 Designed for business and leisure travellers, the limited service midscale hotel aimed to modernise the visual representation of the brand and appeal to a new generation of traveller. “Whether it’s a business trip or a weekend break, we know that for travellers every minute counts. That’s why we wanted the brand identity for Ramada Encore to reflect its position as a hotel for guests on the go,” Lisa Checchio, chief marketing officer for Wyndham Hotels & Resorts said. “Ramada Encore is a place where travellers can relax, refresh and connect – both online and offline. Our innovative common spaces and personalised touches demonstrate that we are thinking of what’s next, so they don’t have to,” she added. Last year, Wyndham Hotel Group opened five new hotels in Southeast Asia – two in Indonesia and three in Vietnam. This was in a bid to strengthen the presence of its upscale Wyndham Hotels and Resorts and upper-upscale Wyndham Grand brands across Southeast Asia, a press statement said at that time. The hotels in Indonesia are the Wyndham Dreamland Resort Bali and Wyndham Opi Hotel Palembang located in Sumatra.